Many of you know that I have a soft spot for all things Palm and so I was intrigued when I saw a report on the WSJ Digits blog reporting that LG plans to build a webOS powered television set. As you may recall, webOS was the last mobile operating system developed by Palm, Inc before it was acquired by HP in 2010 followed, quickly followed by the complete shutdown of the Palm unit and discontinuing of all webOS hardware sales. LG acquired webOS from HP in February of 2013. What I find interesting about this is that LG is stuffing webOS into a TV. 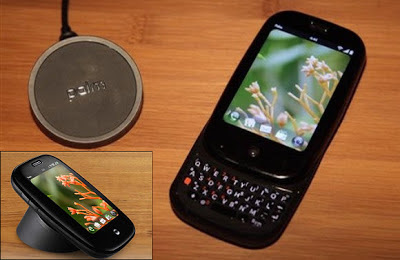 webOS was originally designed to power smartphones and tablets. I'm not saying that webOS can't work on a TV, but I'm having a hard time envisioning the user interface. The primary interface for webOS was touch. The primary interface for TVs today is a remote control. According to the WSJ article, the unannounced LG TV is said to retain the webOS cards based paradigm for moving between open applications. To me, that sounds rather clunky with a remote only type of interface. I guess it could work if LG does something similar to the original Palm Pre which had a home button that, when pressed, would move you into card view for application switching. Palm abandoned that idea with the Pre Plus, their second webOS smartphone. Interface features aside, webOS could have a second left as a smart TV OS. It's biggest problem as a smartphone OS was that, honestly, it was late to market compared with Apple iOS and Google Android ecosystems and failed to capture enough developers to really build out the application suite. In TVs, however, I have to ask myself, how important is a third-party developer ecosystem? I can't see playing Angry Birds or Tweeting from my TV, so does it really matter if there is a large catalog of webOS smart TV apps? I think the place where things like smart TVs, cable boxes, and media players (Blu-ray, DVD, et el) can be improved is in their software. An "appliance" such as a TV with a slick user interface which made it easy to find the content I want to watch when I want to watch it would be a very nice usability bump. Any such software should be able to tie together access to my HDMI attached cable box and media players and my streaming media services; Netflix, Hulu Plus, and Pandora spring to mind. Regardless of what we might conjure up in our minds, we will know in better detail where LG is taking webOS and smart TVs very soon. LG plans on showing their webOS TV at the CES show in Las Vegas in a few weeks.